We at UrbanMeisters, are strong believers in the power of youth to bring about change in sustainable living. Young minds today are undertaking sustainable innovation & development projects. 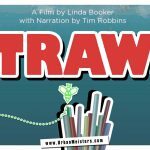 We strongly rooted for Olivia and Carter and their passionate drive to give up plastic straws with the #1LessStraw pledge that’s still going strong. We were inspired by how Matheu Martell dedicated his birthday celebrations to green causes. Illinois student Kristin got a big green nod from all of us for helping make zero waste less difficult for beginners. We’ve featured many young entrepreneurs especially in the eco-fashion space that are relentlessly working to make sustainable wear mainstream like Merica Kahn who’s pioneering 3D printing knitwear with her start-up NIA. This generation is definitely showing us that they’re more concerned about the future well being of our planet than about the future of the now single Brad Pitt! Today, we are very excited to feature a mammoth sustainability project that will leave you impressed and inspired. 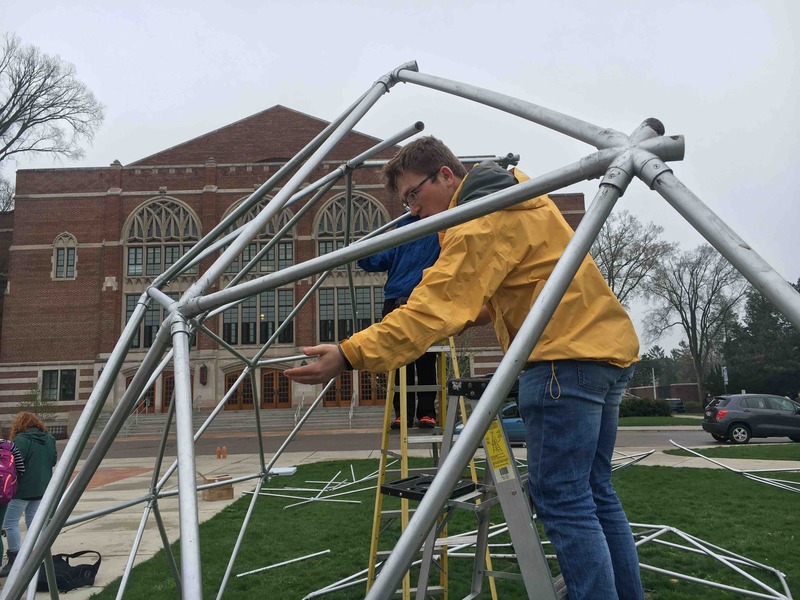 Students from Michigan State University are building a one of it’s kind Biodome on the campus which will set a cutting edge example for sustainable growth. And making this mission possible is MSU’s Student Greenhouse Project. BIODOME IN THE WORKS: THINK BIG. BELIEVE BIG. ACT BIG. Before we go further let’s cut the jargon a bit. A biodome is a unit built by creating, within the structure of a dome, an eco-system that replicates the natural environment and is self sufficient. 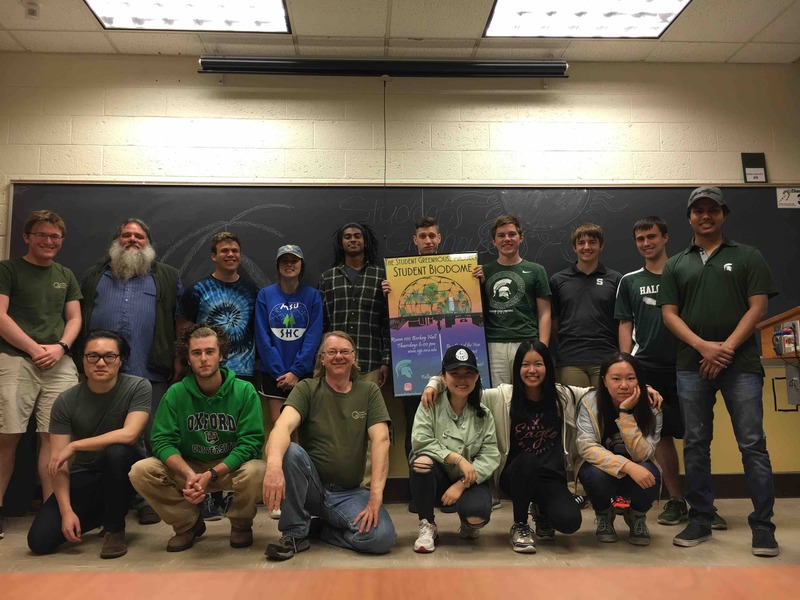 The MSU Student Greenhouse Project is a student lead organization whose mission is to build a tropical geodesic biodome to house a fully accessible natural botanical environment right on the university campus. This biodome will be a fully accessible community space that will have multiple study areas for students, a classroom, a conference room, and a performance area that can be used for everything from concerts to weddings! 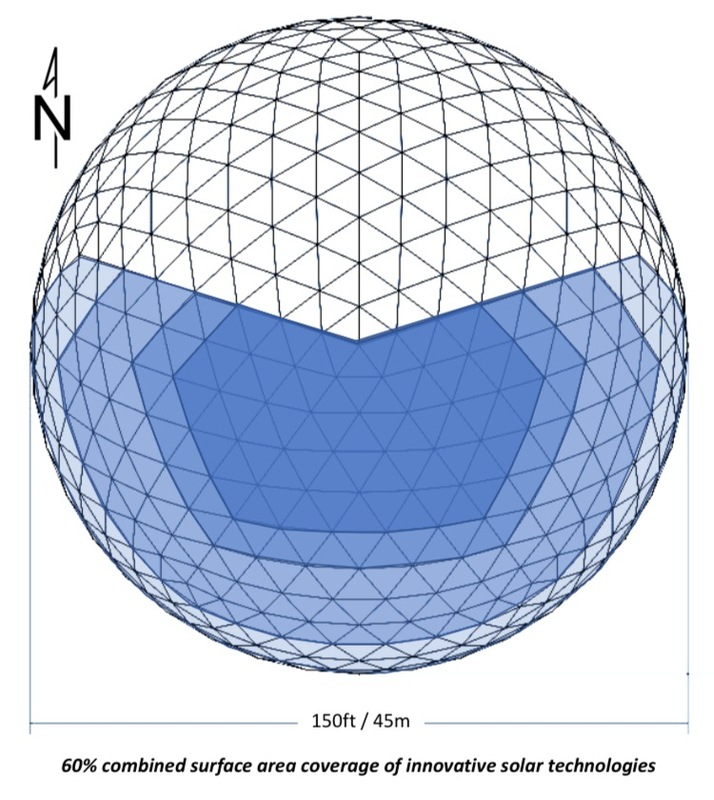 Slated for completion in 2020, the proposed dome will be 46 meters in diameter, and geodesic in design meaning that there would be no columns or internal roof supports to restrict the internal views with a 22.86 meters apex that would provide ample height to permit the growth of a forest canopy. The exterior of the dome will be made of a solar glass skin to generate electricity, a water catchment systems to collect its own water, and a high-efficiency climate control system. When all combined together the dome will be self-sufficient, off the power grid, and carbon neutral. 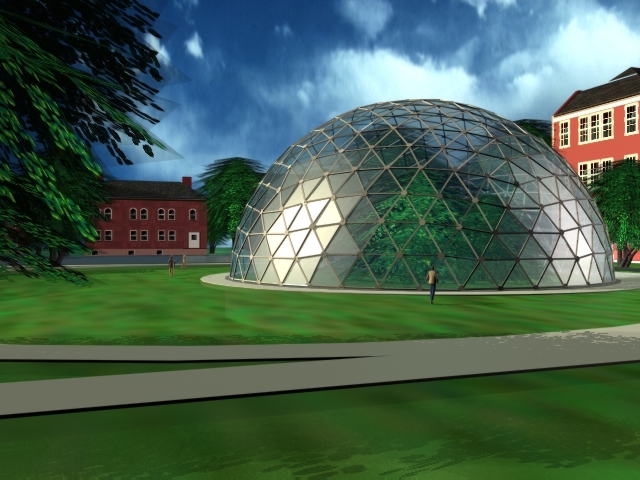 On sunny days, the dome will even be able to supplement the university’s own power grid. The tropical environment will be maintained by living vegetation and several species of animals. 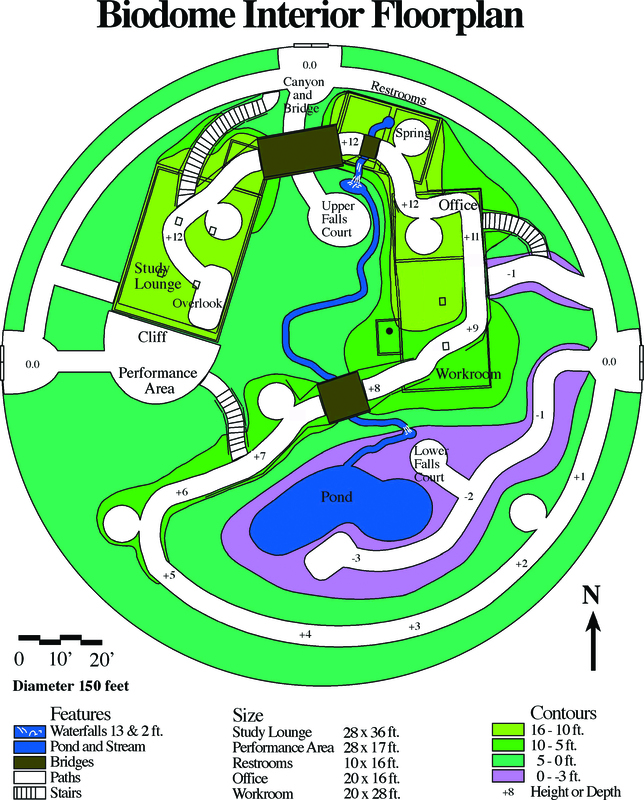 The dome will be kept humid by passive misting systems, a 14 foot water fall, a river, and a pond. In addition to being a cutting-edge demonstration facility for emerging green technologies, the Biodome will help connect people to each other. They will also experience the mental health benefits of being in a warm natural space year round and will have a relaxing environment to help reduce stress. This will be the central hub for environmentally conscious minds to meet, share, and discuss what steps are needed to begin solving some of the global issues we face today. The Student Greenhouse Project (SGP) came about from the closure of the old Botany greenhouse and butterfly house formerly located on Michigan State University campus in 1997. Since that time there was a public outcry for a new space where students and the community could interact with nature. 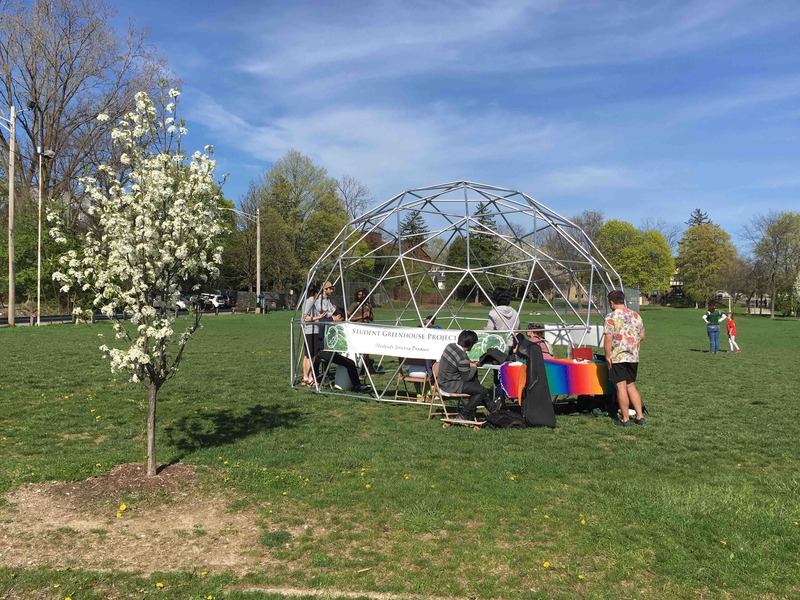 The club was formed from a peaceful protest group which sought and achieved initial administrative approval for the construction of a new greenhouse (with the provision that it was student initiated and run.) The group is entirely student run – but supported by two professional adult mentors. The great thing about the club is that it provides opportunities for almost every field of study, as a result, they have student members from a wide range of disciplines, like engineering, biology, psychology and anthropology! They decided to build an ambitious biome because geodesic dome is the perfect structure for a modern energy efficient state of the art “conservatory”. Compared to a traditional greenhouse the biodome will let in 20% more light relative to its size, is cheaper to maintain, easier to build, and structurally very stable. The creation of a dome means there are no columns or internal roof supports taking up space or distracting the eye. Once inside, the clear walls go almost straight up, out of sight, out of mind and the vastness of it provides plenty of space and height to grow a forest canopy, causing visitors to forget they are in a building, creating a fully immersive experience any time of year. This green project is going to be a perfect showcase for modern energy efficient technologies. A large portion of the domes exterior skin will be made of an architectural solar glass to generate electricity. By using varying opacities of solar glass, it’ll be possible to passively control the temperature across all 4 seasons, making the climate control system ultra efficient and permitting all year round access. The internationally renowned MSU, is the perfect stage to showcase this green initiative. What else is green about this biodome? It will showcase an original water catchment system to collect rain water. This will be used to irrigate the internal plants and biosphere as well as run the bathrooms. It is intended that in addition to being as energy independent as possible, the dome will not have a large pull on the universities water system. By utilizing the combined effect of using these systems as well as LED lighting, the students estimate they will have a positive net energy for most of the year meaning they can actually put power into the universities power grid! “We believe that, in addition to being a cutting-edge demonstration facility for emerging green technologies, the Biodome will be a place that students can come to study, socialize, relax or just enjoy the plants and biosphere. They will also experience the mental health benefits of being in a warm natural space year round and will have a relaxing environment to help reduce stress. In the future, we believe the Biodome will become an iconic structure and an incubator for social change. Once ours is completed it will be a template for other universities and communities to emulate. 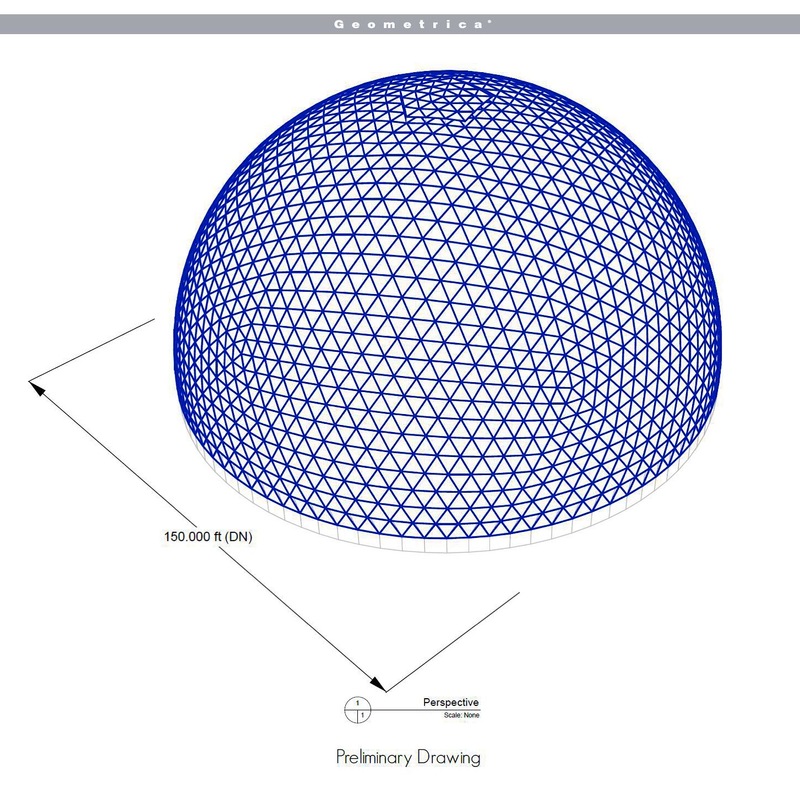 We will work on helping other universities across the world construct their own biodomes. The project is in the last planning stages with the students reviewing it for finer details and working closely with University on a vetted cost estimate. Once this is approved the project will move on to actual fund raising and engaging the workforce to get onto the construction stage. The one of it’s kind biodome is slated to be complete by 2020. The SGP’s current goal is to raise awareness and create enthusiasm for the project, grow their presence on social media, and run a small crowdfunding campaign to fund this cutting edge innovation. And this is where we come in UrbanMeisters. The student group will seek funding to cover the costs of the project and will also look for official sponsors once they move to the fundraising stage. Let’s spread the word about this state-of-the-art sustainability project and help this next gen eco initiative. We’ll inform you about the crowd funding campaign when it starts till then let’s share this green project and raise awareness. So spread the green word UrbanMeisters for sharing this article and if you know about any other students’ green initiative any where in the world do write to us and we’ll feature them. Let’s hear it one more time for the power of youth!